Posted on Aug 13, 2015 by Appleton Downtown Inc.
What an incredible four days of great, live original music! THANK YOU for helping make the music happen! We also want to thank all our sponsors, Music-Makers, performing artists, volunteers, the community and everyone else who came together to make Mile 3 a weekend to remember. 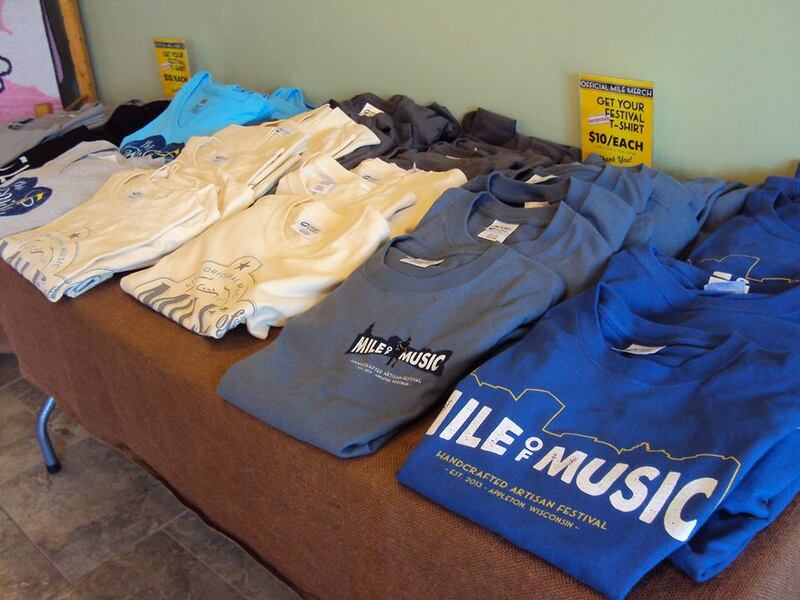 We realize that four straight days of nearly 800 live performances doesn't allow much time to purchase your Mile of Music festival t-shirts. No worries! Limited quantities, styles and sizes of festival t-shirts are still available for sale for $10/shirt at Just Act Natural in downtown Appleton (129 E. College Ave., 920-574-2932. Store hours: Mon.- Fri:10 am-6 pm, Saturday: 9 am-4 pm, closed Sundays). Mile 3 took our community event to a new level, showing that we'll have new challenges and opportunities. Who would have thought we'd be where we are after just over two years and three events? It's a testament to our community and the special people here. We're going to need everyone's continued support and ideas to allow Mile of Music to get better, not just bigger. Together, we know we can do it. Thanks to everyone for being on this journey with us, and for making it so special. If you haven't done so already, mark your calendars for Mile 4: August 4-7, 2016! We'd love to have you be part of the fun again next year! Speaking of fun, we'll be sending more information about next year's festival in the weeks and months ahead.